Nothing is more delightful than an ice-cold, refreshing frozen drink on a hot day. 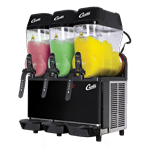 CKitchen’s collection of commercial frozen drink machines includes just what you need to quickly whip up professional margaritas, slushies, smoothies, frozen cappuccinos and more. 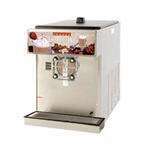 We offer the perfect commercial frozen drink machine for your unique needs, business volume and budget, with top-of-the-line models by Grindmaster-Cecilware and other top manufacturers. 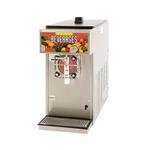 It doesn’t matter if you’re looking for commercial margarita machines for your bustling Mexican restaurant or commercial slush machines for your convenience store, you’ll find the right version here. 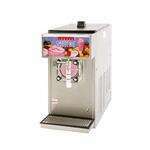 We’re happy to help you find the ideal frozen drinks machine for your specific business. Options range from compact 1.5-capacity styles to deluxe, high-capacity units that are able to produce up to 10 gallons per hour. 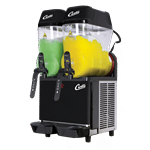 Some of our high-end Grindmaster-Cecilware frozen drink machines are equipped with cutting-edge features, like self-contained refrigeration and Flavorlight™, which illuminates the beverage and draws more customers. Economical models are finished with great features that help maximize efficiency and space within any commercial kitchen. Various sizes are available to accommodate your limited space. 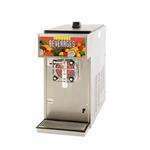 If you think that investing in a commercial beverage dispenser means compromising on space, you haven’t seen the latest and greatest models by the top makers. These machines are equipped to pump out large volumes of product while maintaining a relatively low footprint. 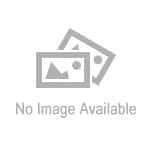 Most are designed to nestle nicely on a countertop or self-serve area. 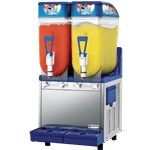 We’re sure you’ll find the right slushie or margarita machine for sale here for your restaurant, food truck, convenience store, bakery or concession stand. 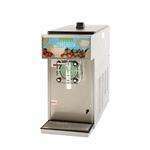 We’d also be happy to help you finance your frozen beverage machine and other essential restaurant equipment so that you get the equipment you need fast.